The Internal Displacement Monitoring Centre of the Norwegian Refugee Council (NRC) released a new report which ranked India third among countries most affected by displacement related to disasters followed by China and the Philippines. Nearly 2.8 million people in India have been internally displaced last year due to disasters and conflicts linked to identity and ethnicity, a new report by a monitoring centre said. There have been 448,000 new displacements due to conflict and violence in India. Nearly 2,400,000 people were displaced due to disasters, the report said. “Together with China and the Philippines, the country regularly sees the largest numbers of displacements. In recent years, displacement has mainly been associated with flood and storm events, although approximately 68 per cent of India is prone to drought, 60 per cent is vulnerable to earthquakes and 75 per cent of the country’s coastline is prone to cyclones and tsunamis,” the report said. Combined with the country’s high population density, with a third of the population living in multidimensional poverty and substandard housing with less resources to cope, particularly in disaster-prone areas, as well as poorly planned urbanisation, environmental degradation, climate change and geological hazards, India’s overall exposure to hazards makes it the country most at risk of damage and displacement related to disasters in South Asia, the report added. “Conflict is largely linked to identity and ethnicity, and it has taken the form of violent secessionist and identity-based movements as well as localised violence, including conflicts based on religion and caste,” the report said. 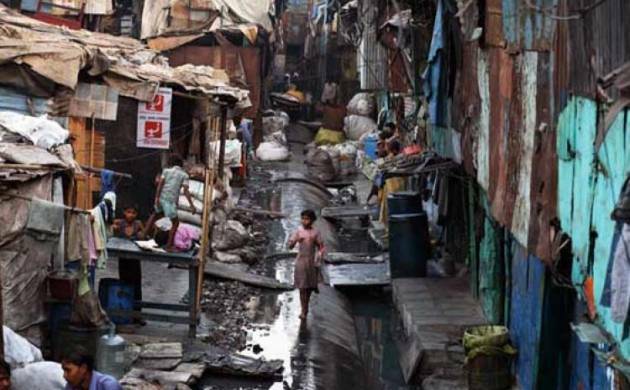 India’s significant economic growth and recent attempts to improve its social protection system have failed to resolve the persistent problem of inequality between social groups and between people living in urban and rural areas. Rapid population growth and the inability of the poorest segments of the population to benefit from the country’s economic growth have exacerbated inter-ethnic and inter-religious tensions over access to land and resources. “The Armed Forces Special Powers Act remains in force in Jammu and Kashmir and in the North-Eastern states, conferring an impunity for excessive and disproportionate force that has led to human rights violations,” the report said. Displacement caused by violent secessionist movements has primarily been associated with the National Socialist Council of Nagaland and the Assam movement, as well as the ongoing conflict between militants and the state in Kashmir, the report said. “Identity-based autonomy movements have also caused displacement in many parts of India, including the states of Telangana and Assam. Localised inter-communal violence between Hindus and Muslims, for example in Gujarat, has resulted in smaller-scale displacement, as have caste disputes in states such as Bihar and Uttar Pradesh,” the report added. Development projects implemented as part of India’s rapid development and industrialisation since independence have been made possible by the large-scale acquisition of land and the eviction and displacement of tens of millions of people over the past decades, not only for the purpose of building dams, mines and industrial plants, but also for other objectives such as urban renewal and environmental conservation. One of the most controversial cases is the Sardar Sarovar dam. Approved in 1984, the project had displaced an estimated 350,000 people in Gujarat, Madhya Pradesh and Maharashtra by 2015. There is a strong link between development projects and conflict. Most of India’s land conflicts arise from state takeovers, often on behalf of private investors.The adverse social and environmental impacts of development projects implemented through large-scale land acquisitions with minimal (if any) consultation and compensation have fuelled tensions, violence and conflict over land access and use. As a result, non-state armed groups have gained support from some marginalised communities affected by development projects, the report added.